Well, you knew this was coming, right?! 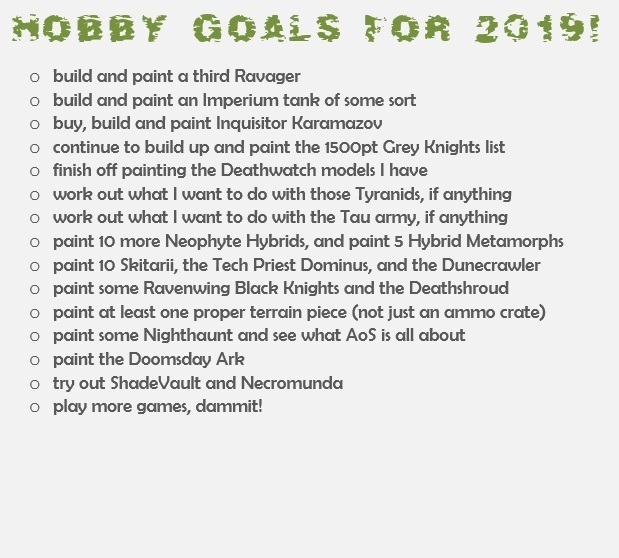 After reading the post on the Warhammer Community site, and thinking about what I want to get done in the hobby generally this year, I thought it’d be fun to do something similar, and create a series of posts that will regularly check in on how I’m doing with this year’s undertakings! 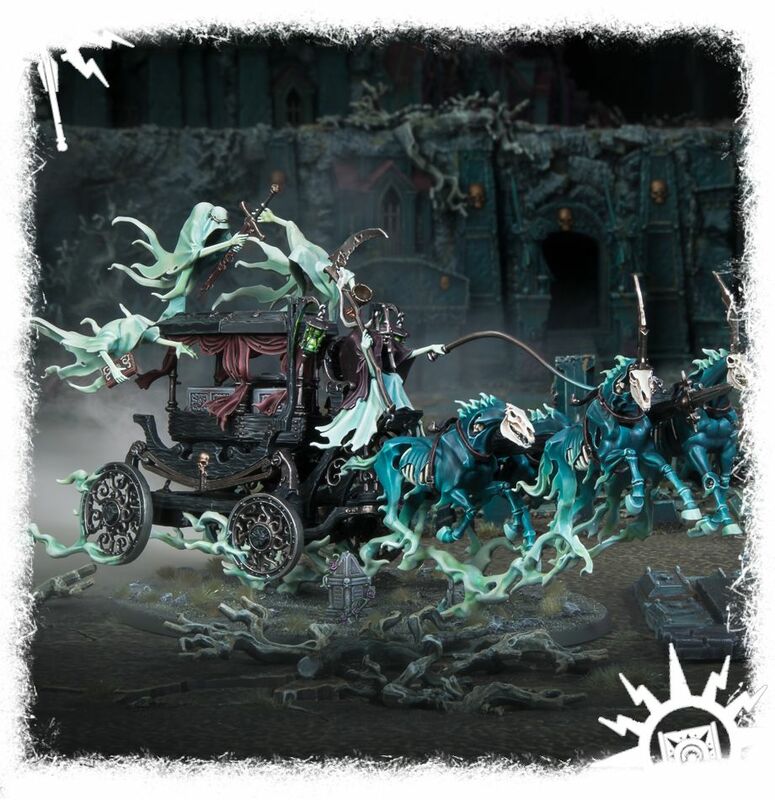 I’m going to be doing Nighthaunt this year – while I have a lot of projects on the go right now, some of which I can potentially see getting quite significant as time goes on, I think the whole Age of Sigmar thing has gotten me quite excited for the hobby at the minute. It’s pretty much a new game system to me, as I have only played two games of 1st edition back in 2016, and from what I’ve seen of the changes that have been made over the last couple of years, I might as well have been playing a wholly different game! 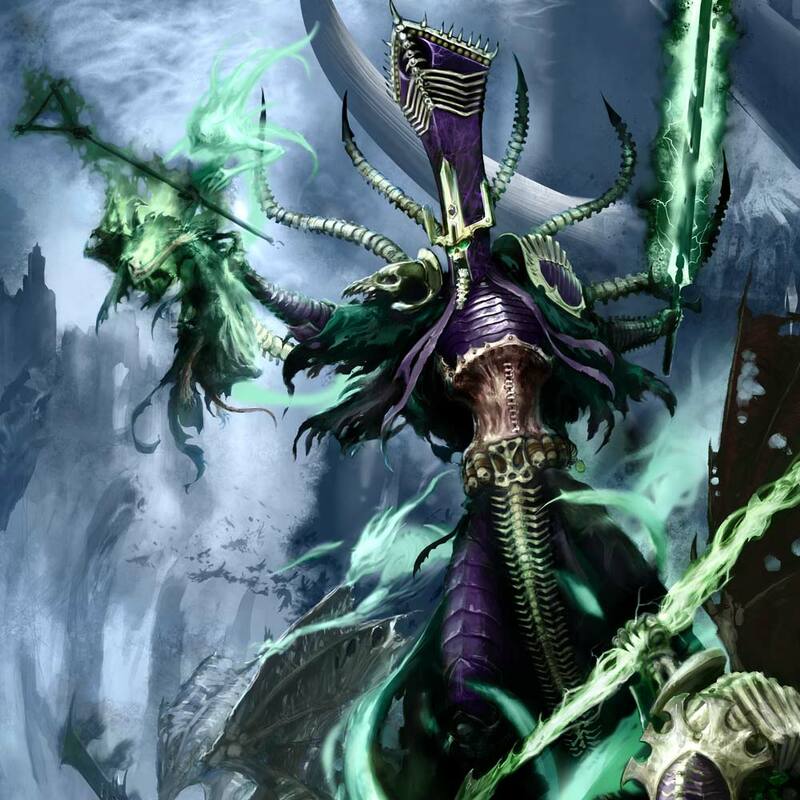 I currently have a fair few projects on the go for Age of Sigmar – an army in each Grand Alliance, as it happens! 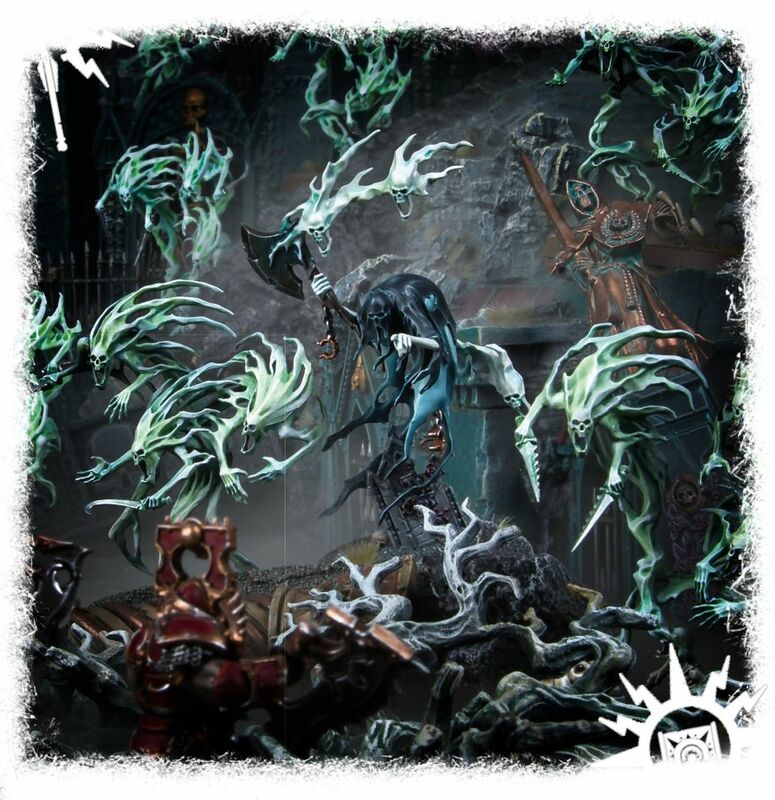 But while I am excited to get moving with all of these ideas, I think the Nighthaunt are where I want to start – not only start painting a fantasy army again, but to start learning Age of Sigmar! 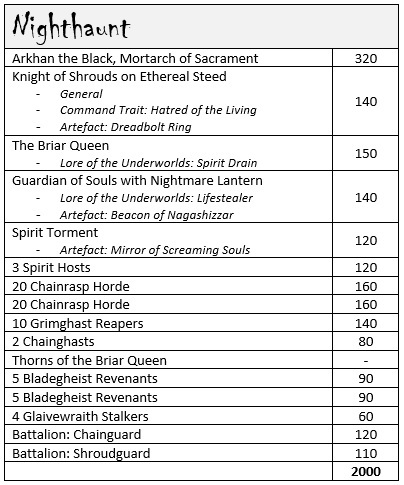 I’ve arranged a small, 500-point game for next week (I know you’re not supposed to play at 500 points), so I’m quite excited about that! The list is intended to be quite straightforward, as I want to gain an understanding of the game, and what I need to do in the game, etc. So I’m trying not to go to fancy with magic or anything just yet. 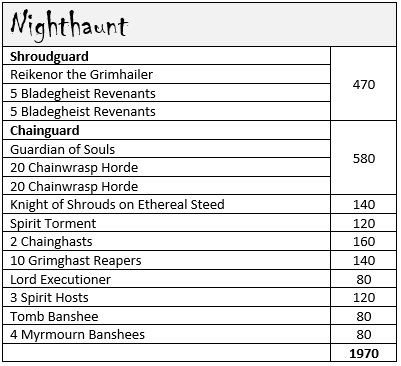 I’ve got two units of 10 Chainwrasp Horde, along with a Guardian of Souls, a Knight of Shrouds on Ethereal Steed, and a Cairn Wraith. 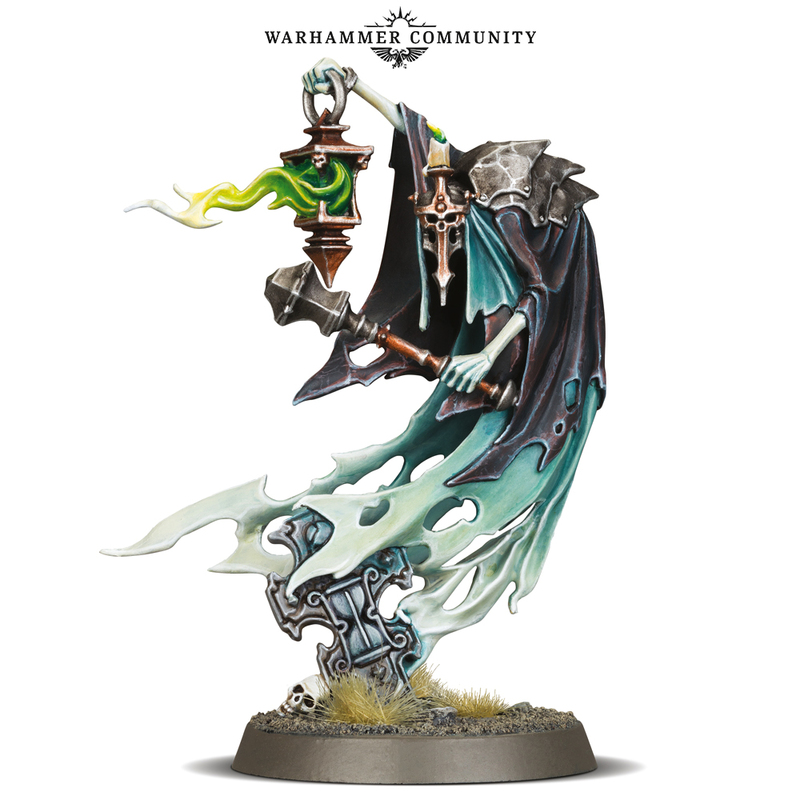 I’m thinking there will be enough going on between the Guardian of Souls and the Knight of Shrouds buffing the Chainwrasps, then the Cairn Wraith is just hanging out doing his own thing. 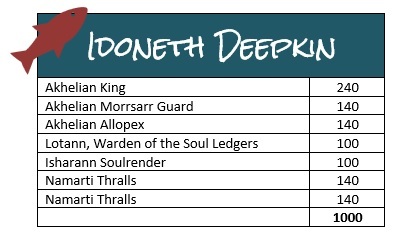 Importantly, though, I don’t want to use the old Cairn Wraith model, so I’ve got my eye on the named Lord Executioner, who should fit the bill quite nicely. 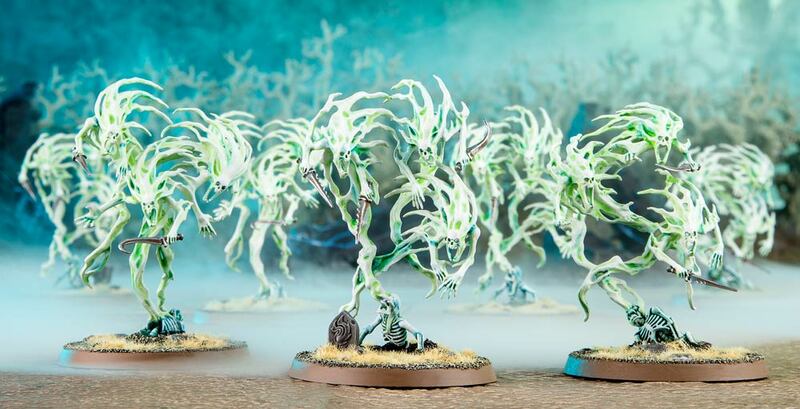 I’ve also been considering getting some Glaivewraith Stalkers in the list instead, which are the same points cost – it just comes down to the fact that I already have a lot of models in this list that need painting, so I was looking for an easier option! 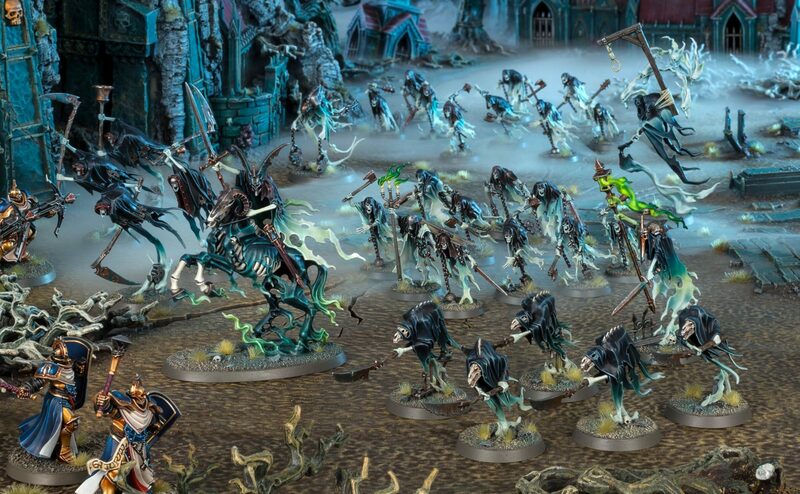 I like the idea of starting a full army this year, along the lines of taking a Start Collecting box, and then each month adding in other stuff. I’ve talked several times about following the Tale of Four Warlords idea like this, but have never seemed to follow through on things. 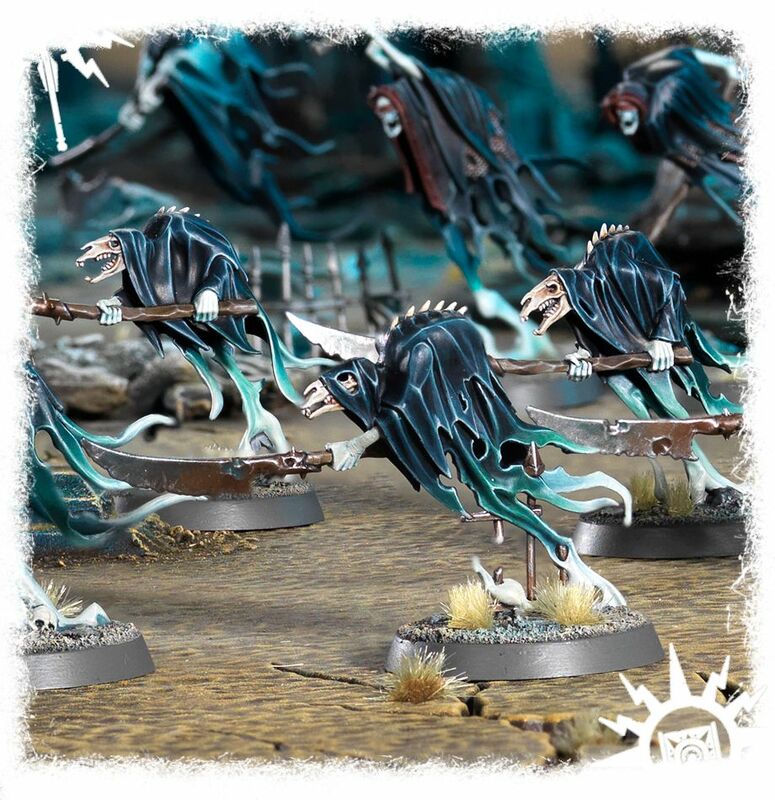 Well, there isn’t a Start Collecting box for the Nighthaunt (yet! 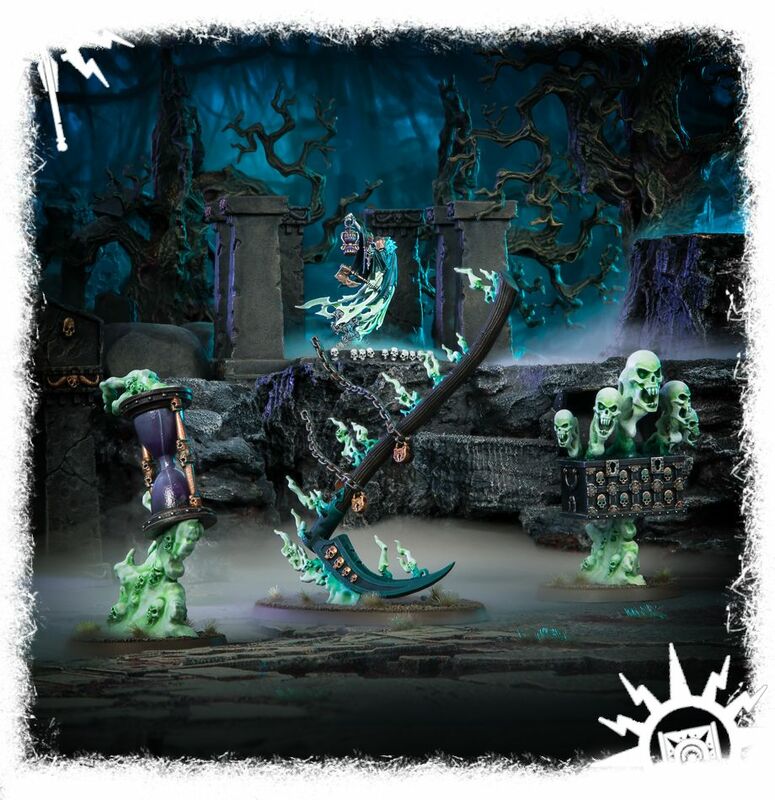 ), but the Soul Wars box set sure provides a pretty good starting point! 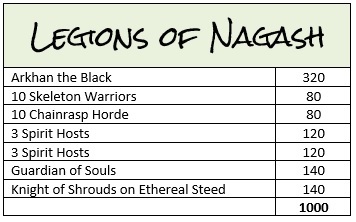 I’ve been doing some research, though, and I think that each of the AoS Start Collecting boxes is roughly around the 500-point mark – there are some, like the Daemons boxes, which are below 400 points, whereas Slaves to Darkness and Fyreslayers are almost 600 points. So I think I’m on the right track, anyway! This is a very exciting project for me, at any rate, and I’m very keen to see how my force progresses! 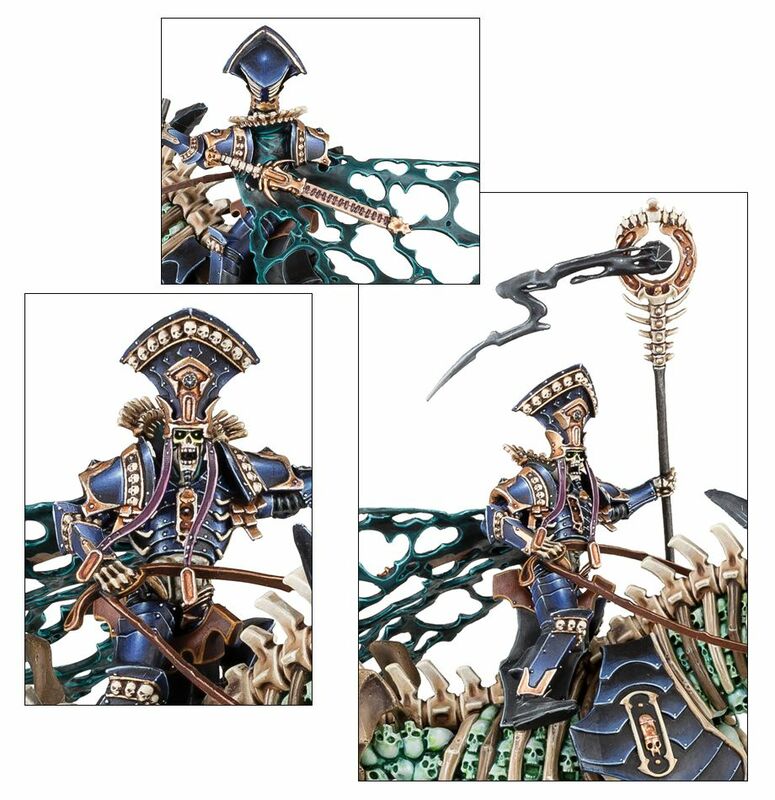 I’ve painted up the Thorns of the Briar Queen of course, but I’m looking forward to getting a bigger army underway!